50% OFF LASER HAIR REDUCTION OF UNDER ARM AND BIKINI ON YOUR BIRTHDAY MONTH! 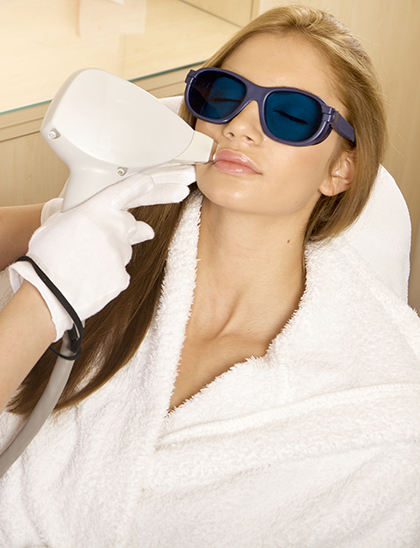 Laser Hair Reduction has been FDA approved to last a minimum of 2-4 years. * Small areas such as the underarms or upper lip can be treated in 10 minutes or less, and even large areas like the back or legs can be treated in under a half hour. Various cooling methods keep the light pulses mild and skin-safe, allowing for more comfortable treatments than electrolysis or waxing. Immediately after treatment, you can expect a mild sunburn-like sensation, possibly accompanied by some minor swelling. This usually lasts 2-24 hours, and can be soothed with cold gel or ice packs. The treated hair will continue to appear 7-30 days post-treatment. * This is not new hair growth, but the treated hairs being expelled from the skin. In some cases you may experience Folliculitis or slight inflammation of the hair follicles, if this should occur please call Neu Look at (858) 538-5665. Most patients tolerate the procedure well, but some areas of the body are more sensitive than others. Topical anesthesia is always available for those patients with more sensitive skin. For more information or if we can answer more questions regarding Laser Hair Removal please contact Neu Look Med Spa & Skin Center at (858) 538-5665. Get To Know Our New Laser! W’ve learned that more and more of our patients desire to have permanent hair reduction and a treatment that is effective, fast and comfortable. That’s why Neu Look now proudly uses the LightSheer® DESIRE™. High-Speed Integrated Vacuum Assisted Technology reduces treatment time by using a large 22x35mm spot size. Back or legs can be treated in 10 minutes or less. In addition, there is no prep time and no cooling or anesthetics required. 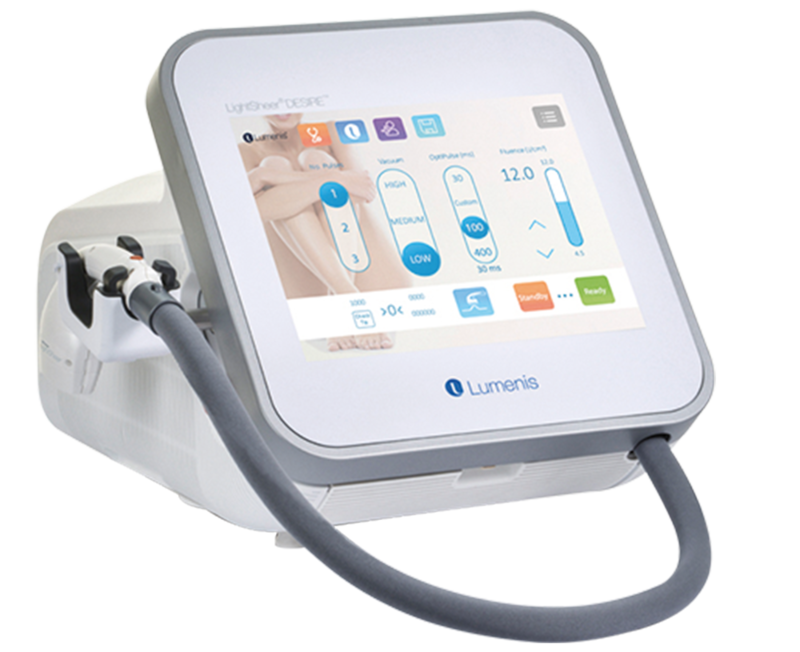 High-Speed Integrated Vacuum Assisted Technology uses a unique vacuum mechanism that activates the skin’s tactile and pressure receptors to inhibit the transmission of pain. ChillTip™ Technology cools the skin throughout the treatment.